Show Recap – Self Driving Cars & Much More with Tim Schock and Charlie the Plumber! 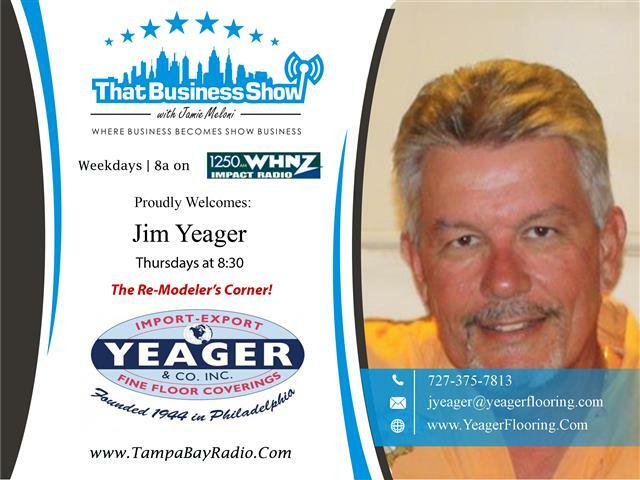 #AmericanPlumber aka Charlie the Plumber joined me in studio today as co-host and part of our weekly #TheRemodelersCorner feature brought to us by Jim Yeager of Yeager and Company, a third generation flooring and remodeling company in Odessa, FL – be sure to visit http://www.yeagerflooring.com for all your flooring and remodeling needs and mention the radio show for a great deal on your next project! 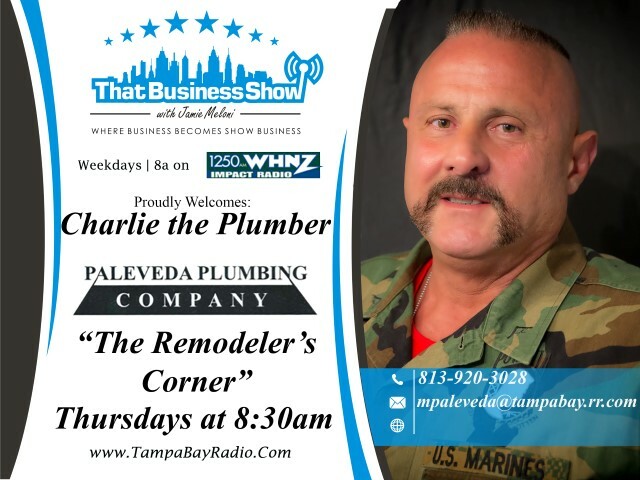 The show, airing weekdays at 8am on 1250WHNZ can be found all over social media as well as my website at http://www.tampabayradio.com and be sure to like me on Facebook at http://www.facebook.com/thatbusinessshow for all the show updates and more! My guest today was Tim Schock, Founder and President of Lightning Capital Consulting, a management and business strategy consulting firm providing services to private equity and investment clients. Tim joined us in studio today to discuss an area he is a frequent speaker of which was the transportation industry, specifically we covered mostly autonomous vehicle technology, aka self driving cars. Within the transportation sector, Tim was Vice President and Southeast Regional Manager for TransCore, a transporation system company providing system development for tolling (Sunpass), traffic management, and freight and rail services. Tim speaks of the different levels of autonomous technology on the marketplace of which Levels 1&2 are actively available and consist of basic safety features such as cruise control and automated braking in the event the driver does not react quickly enough. At level 4 is where we find Google who is in the news from to time with their completely autonomous vehicle and we touch on that topic as well on the show. We discussed some of the many issues surrounding autonomous vehicles beyond just the obvious safety concerns such as liability issues in the event of an accident; is the manufacturer or the owner liable, and also the disruptiveness that this type of technology would have on jobs within the industry. The show is highly segment and entertaining as #AmericanPlumber chimes in with much color commentary and takes us off topic a few times with some rants but that is expected when #AmericanPlumber is in studio. Be sure follow him on Twitter @charliezplumber and use his hashtag to tag him in Social Media posts to agree or disagree with him, we love to hear it either way. 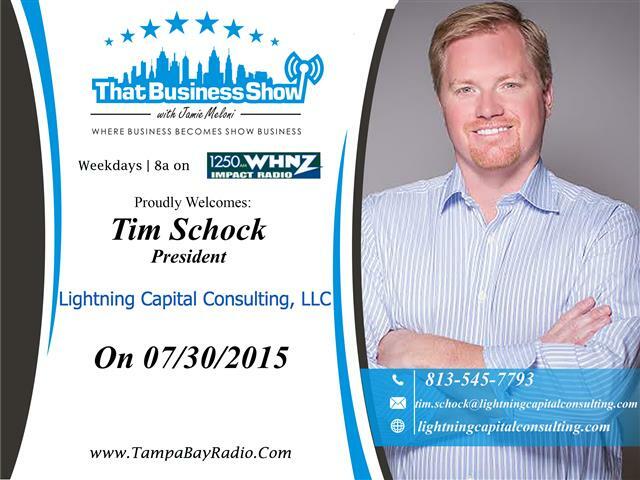 For more information on Tim and his business, visit http://www.lightningcapitalconsulting.com and please tune into the show weekdays at 8am on #1250WHNZ! This entry was posted in Entrepreneurship and Business and tagged #AmericanPlumber, branding, business, charlie the plumber, coldwell banker, entrepreneur, real estate, self driving cars. Bookmark the permalink. ← Show Recap – Couples in Business Talk and Award Winning Toffee to Go!